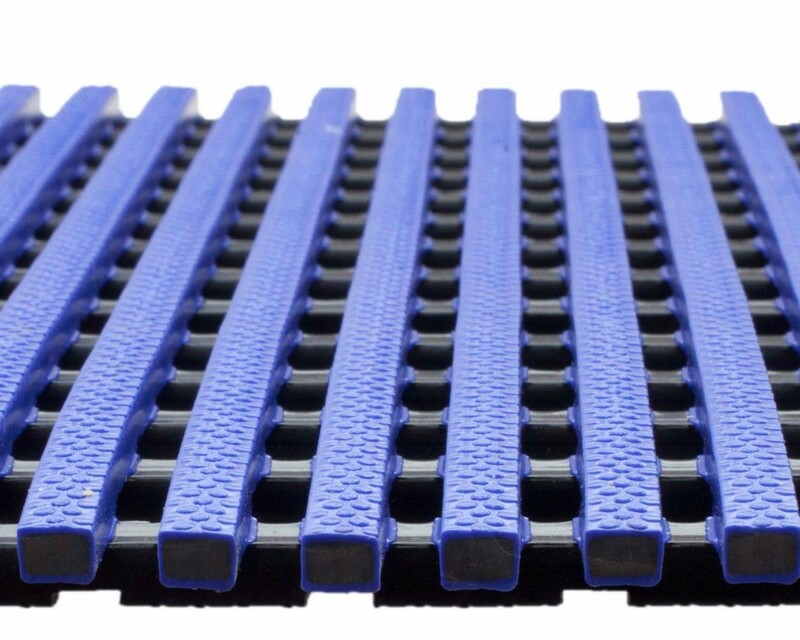 An excellent chemical, grease and slip resistant anti-fatigue mat. Perfect for wet areas, shower/locker rooms and spill zones. Anti-Microbial and UV resistant PVC composition makes it a great choice for the toughest environments. Made with 50% recycle content. 5.5 mm spacing on top surface ensures adequate drainage, while drain channels allow for multi-directional flow.